The model - The first 1/50 scale Hong Kong model from the main producers of 1/76 scale buses is this Collector's Model MCW Metrobus, released in early April 2001. 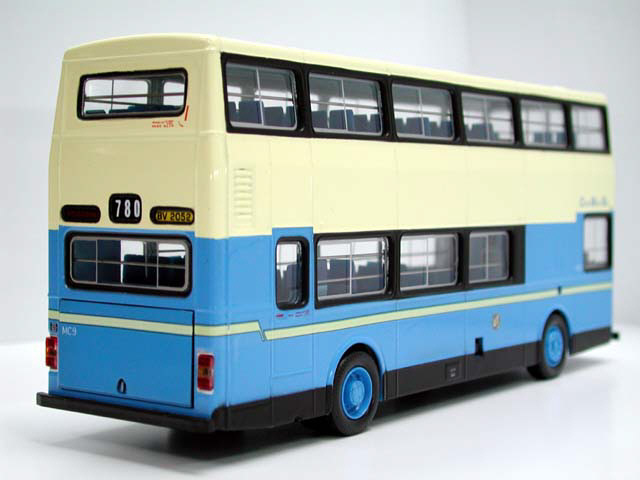 The bus - The MC (Metrobus Coach) class consisted of 12 MCW Metrobus Mk 1. 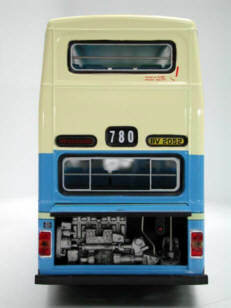 These vehicles were purchased new in 1978 in order to encourage the motorist to commute by bus to the Central business district in conjunction with the other bus priority schemes introduced at the time. 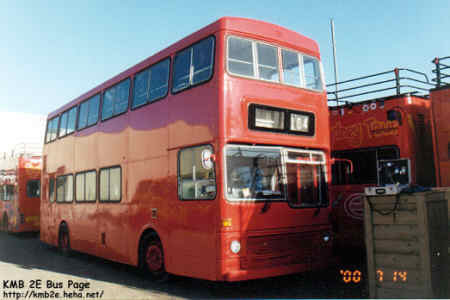 They were the first double-deck coaches operating in the Territory. 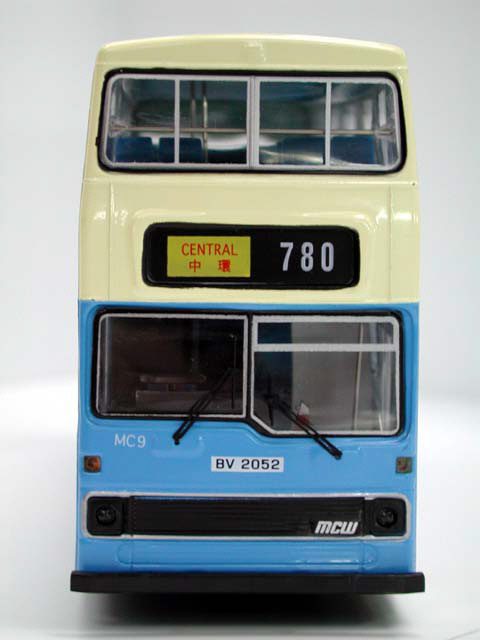 In September 1978, 10 MCs were allocated to two new coach routes introduced between the Central district and the more affluent residential areas of Stanley and Chung Hom Kok. No standing was allowed, thus avoiding overcrowding. These vehicles continued to serve on these two coach routes until they were relieved by single-deck air-conditioned Dennis Darts in late 1991, when they were re-allocated as buses to operate on route 13, on the mid-levels of Hong Kong Island. 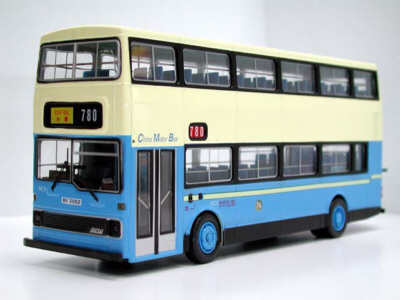 The MCs contributed significantly to CMB's order for the very high capacity buses, forty 11 metre two-axle MB class vehicles and eighty-four 12 metre three-axle ML class vehicles in the following years. 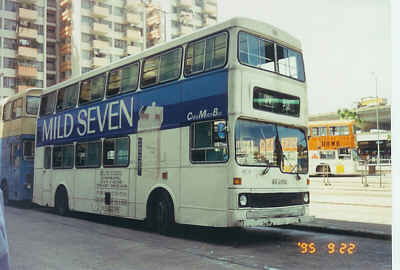 When CMB lost its franchise of Hong Kong Island, and cross-harbour tunnel routes in 1998, all 12 MCs, among others in the fleet, were sold to New World First Bus. In an attempt to convert the whole New World First Bus fleet to air-conditioned vehicles, the MCs were withdrawn from passenger service in 1999 and three of them were converted to training vehicles, to assist in the massive recruitment programme. certain brand of cigarettes (which of course can kill). I have kindly been sent the above photos of MC9 in Australia, taken at Sydney, before heading to its final destination, Canberra. 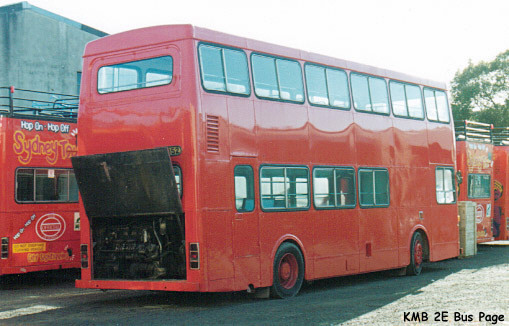 It was sold to City Sightseeing last year to replace the three-axle Metrobus ML28, which had a cracked chassis. 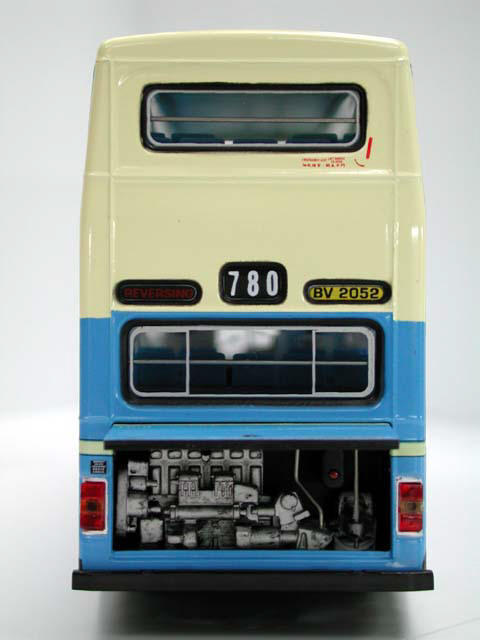 The bottom photograph shows MC9 still carrying its BV 2052 Hong Kong registration number.